IoT provides Tons of data, but how is this data help us? Geek Dads wrote an article this past week detailing the reports from AIG’s case studies on the world of IoT, here are some of our thoughts. The world of IoT is filled with opportunity and is relatively new to everyone. 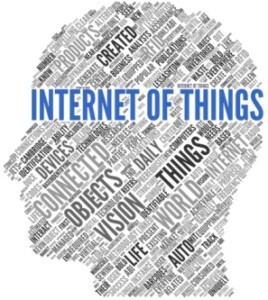 Especially considering within the past half decade the iot industry has been exploding. The number of connected devices on IoT networks is increasing by the billions (yes, Billions with a B). With this huge increase of connected devices some companies have high hopes for the data to make our world better. That's why AIG has published case studies about the challenges facing the IoT world, and also how the implementation of IoT can benefit us all. AIG has quite a list of companies that have very big plans for the implementation of IoT into different aspects of their business. The AIG report on IoT gives some great examples of these companies and what they are trying to do. For the first example take Daimler, the company that owns Mercedes-Benz, which produces a lot of larger commercial size trucks. With IoT they plan on reducing the dangers of driving such vehicles on the same highways as everyone else. These new trucks will be capable of maintaining their lane without driver assistance.Lastly, These trucks will also be capable of alerting the driver when he becomes to close to another car, automatically braking if the situation calls for it, and even relaying road conditions to the driver and other concerned parties. The Article by GeekDads then gives an example from the AIG case study on how we all benefit from IoT without noticing. For example John Deere is revolutionizing the agriculture industry by creating tractors and other agricultural equipment that is connected to IoT networks. These networks are used to help improve farming practices based on numerous variables such as the weather conditions. They then analyse that data to help create new farming patterns to optimize crop yield. This in turn means lower prices for our groceries at the Market. These are all great ways to show just how useful the implementation of IoT can be into everyday daily life. The data collected by growing number of connected devices will help developers create new technologies to better our lives. The John Deere connected tractor network is a great example of the benefits of IoT. Another example would be smart trucks which could report dangerous road, or traffic conditions. All of these implementations of IoT into our lives is something we at Bluefin Technology Partners find highly interesting, and Hope to build upon ourselves. Go check out the article by GeekDads it is very informative!